However, the Nunes Memo wasn’t alleging “that the Russia probe began corruptly.” It instead argued that when the FBI’s follow-on investigation reached the point where they would need permission from the FISA (or “FISC”) court in order to obtain evidence that might possibly implicate U.S. President Trump in impeachable offenses, the FBI resorted to an ilegal tactic to win the court’s okay: hiding crucial material information from the FISA court. That’s the case the Nunes Memo actually summarizes. The FBI began its investigation into the Steele dossier after it had already begun its investigation — based upon then-credible grounds to investigate — regarding George Papadopoulos (a supporter of Trump and aspirant for a position in his Administration if Trump would win). There is no question that the initial FBI investigation began in July 2016 and had nothing to do with the Steele dossier; this is acknowledged even by National Review, a Republican publication that seeks Trump’s impeachment and replacement by Mike Pence. NR notes that, “The investigation isn’t the fruit of the poisonous dossier (though the dossier did play a role); it existed before the dossier.” But the Nunes Memo doesn’t deny this, either. Then, NR says, “Ironically enough, the memo in fact confirms the necessity of the Special Counsel Robert Mueller,” and NR then ignores the legal conditions under which a Special Counsel may legally be appointed to remove a given investigation from the domain of the U.S. Justice Department. These legal reuirements are extremely vague, but they do include “•(b) That under the circumstances, it would be in the public interest to appoint an outside Special Counsel to assume responsibility for the matter.” President Trump’s Attorney General Jeff Sessions yielded to political pressures — both from Democrats and from far-right Republicans (reminiscent of the close bonds that had existed in the 1950s between the far-right Republican Joe McCarthy and his strong Democratic supporters Henry ’Scoop’ Jackson and Bobby Kennedy) — to start the anti-Russia and anti-Trump process; and there would likely have been considerable flak from those same political quarters if Sessions had not yielded to them on this matter, but there was no requirement for Sessions to do so. If he had not done so, then their attempt to replace Trump by Pence would have proceeded more slowly. The Nunes Memo alleges that even the possibility of the appointment of a Special Counsel wouldn’t have existed if the FISA court had not (unknowingly) allowed U.S. national-security and intelligence-gathering laws to be broken. 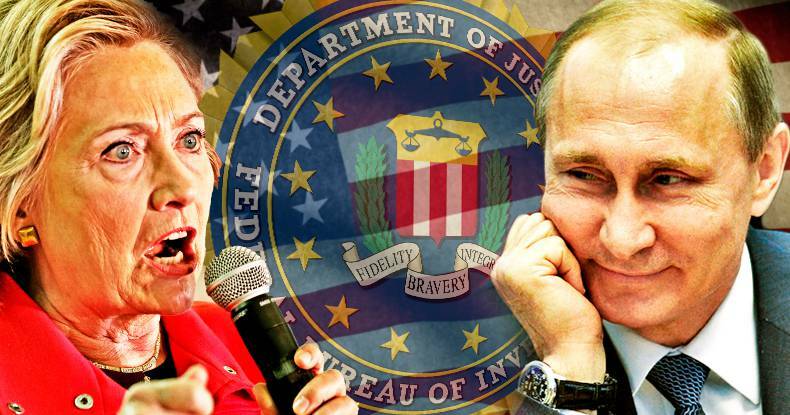 On 21 October 2016, the Obama Justice Department and its FBI sought from the FISA court a probable-cause to get its approval to obtaining all information that the Obama Administration (including its CIA, NSA, etc.) had acquired regarding contacts between Russia on the one hand and Trump and his team on the other — the court’s permission for the sitting President to gather this information against the man who was then running against that sitting President’s chosen heir-apparent. It was at this time that the Steele dossier became ‘evidence’ for the court — and the court was blocked from seeing the evidence that should have excluded the court from accepting Steele’s document as being evidence in this matter. After all, if even the Steele dossier’s author admitted publicly that his document was somewhere between 10% and 30% false, then to accept it as constituting ‘evidence’, is to accept what even the document’s author admits contains that much falsehood; and, to impeach a President on grounds like that would be an atrocity. This is what the Nunes Memo is actually about. It’s about legal and illegal process. Then, the Washington Post says, “Second, the memo indicates that the Justice Department sought its warrant against Mr. Page in October 2016 — after Mr. Page had left the Trump campaign. So the president’s campaign was not the intended target.” That’s a non-sequitor; the possibility exists that both “Mr. Page had left the Trump campaign” and “the president’s campaign was … the intended target.” In order to explore whether or not that was actually the case would require the type of investigation that the Nunes Memo purports to be summarizing. The Post’s third argument was that the FISA court wouldn’t have renewed the approval three times if its initial grant of Obama’s spying against Trump hadn’t been legally and soundly based — including all the information that the Nunes Memo summarizes, and which had been hidden from that court. For the conspiracy narrative to hold any water, one would have to believe that officials appointed by a Republican president, including one confirmed by a Republican Senate, were part of a plot to bring down that same Republican president, and that they successfully hoodwinked FISA judges selected by the Republican-appointed chief justice of the United States. This hoodwinking would have continued after the nature of the dossier had been widely publicized and Mr. Page’s Russian connections publicly scrutinized. This is beyond improbable. “Beyond Improbable” though the people who hire and fire at the Washington Post are obviously claiming it to be, the Nunes Memo cites and alleges powerful evidence that much of that did, in fact, happen. The Memo’s allegations and evidence will be seriously considered by all of America’s journalistic institutions, even if (as at the Washington Post) ignored by a great many of America’s propaganda institutions (the ones that prefer a President Pence to President Trump, which include all Democratic Party outlets, and many Republican Party ones as well). On February 3rd, the brilliant intelligence analyst W. Patrick Lang boldly attempted an analysis of what very possibly might explain all of this, though he presented it under the unfortunately obscure heading of “Habakkuk on ‘longtime’ sources:” and I consider it stunning. In any case: anyone who believes ‘news’media only because they’re famous (and despite the considerable evidence that they’re not to be trusted) is going to be a happy gull of either Democratic Party billionaires or Republican Party billionaires; and a country with a majority like that won’t be any democracy at all. To boil this all down: the Nunes Memo summarizes a case that the campaign to replace Trump by Pence has used tactics which are illegal in the United States, and which should be illegal in any democracy. The best summary that I have seen of the Nunes Memo is this (which also happens to be from Pat Lang), which also links directly to the best online source for the document itself (so, if after seeing that summary, you wish to see the document that’s being summarized, both are right there). Clearly, the Washington Post, from the top on down, is propaganda. Their ‘news’ is heavily colored because that’s what the owner requires; it’s one reason why reporters are hired and fired: to promote war against Russia. They get this from their bosses, the people who hire, fire, promote and demote, them. They’ll do anything to pump Russiagate, regardless of what the actual facts are. It’s what they are paid to do. The failing doesn’t come only from the reporters. They’re hired and retained in order to fail in the way that the owner wants — to pump up military spending as much as possible. Unfortunately, Trump has evidently decided to capitulate, instead of to resist; he’s now as much of a neocon as his electoral opponent Hillary Clinton had been promising to be (perhaps doing this so as not for him to be quickly impeached); and, as a result, the march toward the nuclear precipice continues, and military spending soars while all other federal departments get cut back, and $1.5 trillion gets added to the federal debt over the next ten years.